Gadgets and the internet connection, together, have changed our lives for good in so many ways. Want to try out a new dish? Check for a perfect recipe on the YouTube. Feeling bored with your routine chores? Take out your smartphone, and play a game online. Didn’t hear from a friend or family member in ages? Social media sites will get you connected, and the list goes on… In fact, a life without all these applications seems dull, boring and incomplete. Sounds relatable to you? This post has been compiled with the best application suggestions for you and your family. Most of these are underrated but worth a try. Do you usually fall asleep while taking your kids to the bed? 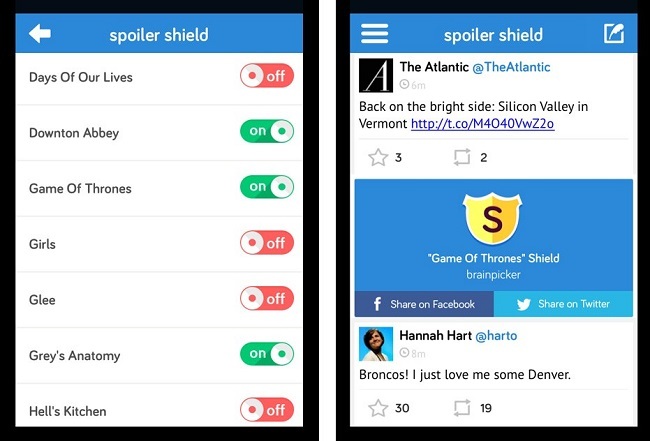 Spoiler Shield lets you filter the references of last night’s show on any of your social-media feed, including Twitter. All relevant posts will be temporarily blocked until you can get time to catch up. The app is free for all platforms.